Anna University recently published the tentative exam time table schedule for the Anna University April/May 2014 2nd, 4th, 6th, 8th, 10th semester. In the tentative exam schedule many detail like last working date, date of commencement of semester exams and also the practical schedule is also given. The Practical schedule is divided into two slots - Slot 1 and Slot 2. Students can get the information about their slot from their respective college itself. The slot details for the final year project is also given. 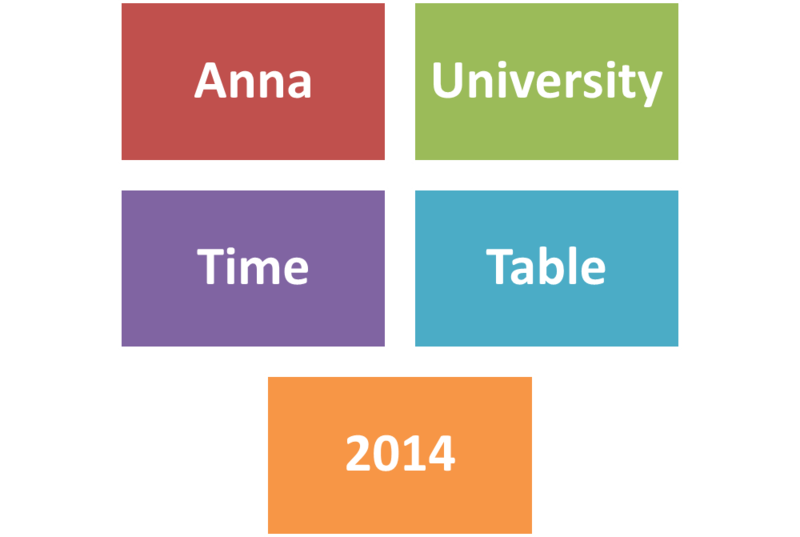 The detailed Anna University April/May/June 2014 Exam time table is also to be updated regularly in our Blog.